This dish is composed of a small amount of protein, carbs, and fat. Pair it with a meal composed mostly of protein and fat and a small additional amount of carbs to make it balanced and stabilize your blood sugar. Preheat oven to 400ºF. Slice tomato into thin, equally sized slices. Once cooled, place oats in food processor with dried basil and oregano and grind into a crumb-like texture. 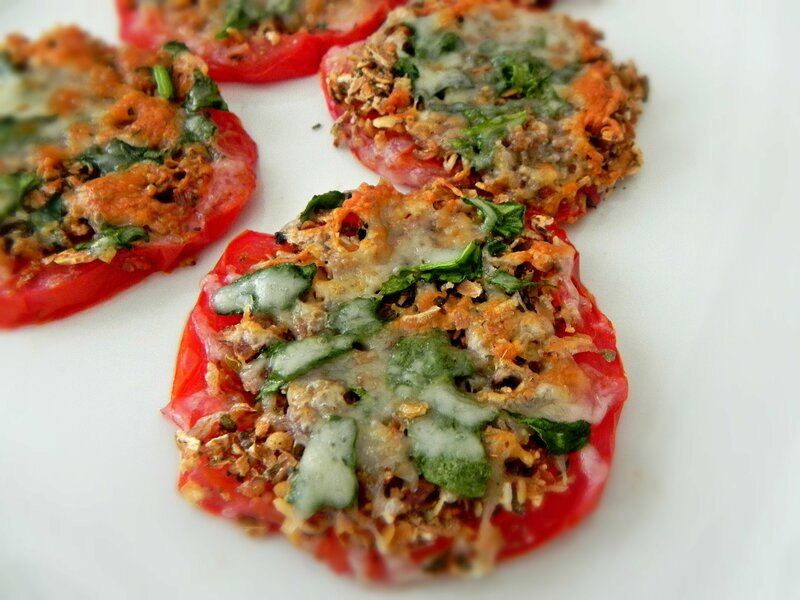 Top each tomato slice with oat mixture and cheese. Bake in oven for 7-8 minutes. Place under the broiler for an additional 3 minutes or until cheese lightly browns. Top with fresh basil if using and serve warm.